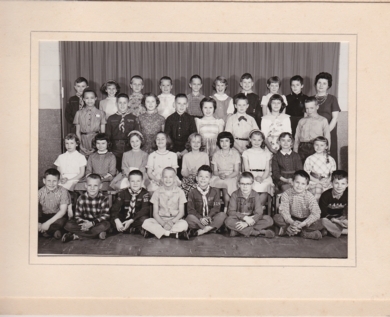 A few of us need your help in identifying classmates in this class photo. Smith Studio date stamp on back is April 1961. I think it's Mrs. O'Brien's 3rd grade class from Orchark Park. So far from posting on Facebook, we have identified (in no particular order): Frank Barton, Terri Peek, Larry Dee, Mark Hadley, next to me, Marium Zook, Beverly Downs, Barry Kuhl, Paul Brown, Debbie, Deloris, Hershella Hall, David Belcher, Cheryl Smith, Rodney Doom, Carl Jacobs; Dan Giles is behind Nina (Secrest? ), Becky Reeves, Willette Lane. Let us know if you can add more names to this list! June 28th and 29th at the Carmel American Legion, 852 West Main Street. Our theme will be "You've Come Along Way, Baby and we are having a sock hop so come casual so everyone can have a good time. Music and a photo booth is being put together. We are getting too old to do anything elaborate. On the 29th good food is planned and a bartender will be in our room so you don't have to wait in line with the people in the bar. Name tags will be made just in case you don't remember who the person next to you might be. for those of you that arrive in town early, come and join us in a warm up session of meet and great at the Carmel American Legion, 852 West Main Street for a night of fun and drinks. While planning this reunion we have reaized that it is impossible to catch up on fifty years in just one night. This will just be a night to sit around, relax and reminisce about old times. This is totally on your own and is not included in the price of the reunion. You can order drinks and food from the bar. Join us if you can, it should be a fun night. This is the same location that the reunion will be held.